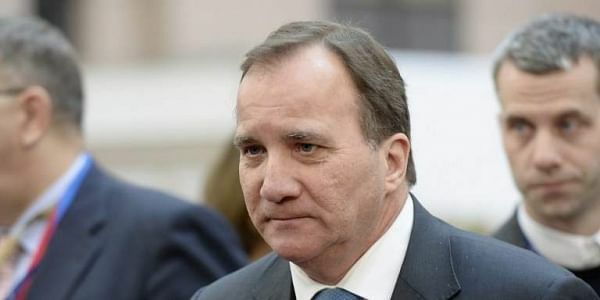 STOCKHOLM: Sweden announced Thursday that it will reintroduce compulsory military service starting this summer to respond to global security challenges including from Russia. "The government wants a more stable staff supply system and to boost its military capability because the security situation has changed," Swedish Defence Minister Peter Hultqvist told TT news agency. The Scandinavian nation, which has not seen armed conflict on its territory in two centuries, ended conscription in 2010 after it was deemed an unsatisfactory way of meeting the needs of a modern army. Sweden's minority government on Thursday is set to introduce to the parliament a bill to restore conscription this summer for all Swedes born after 1999. It will last for 11 months. The measure is expected to be adopted by parliament, subject to agreement between the leftist government and the centre right opposition. Some 13,000 young Swedes are expected to be mobilised from July 1, but only 4,000 of them, 18-year-olds of both sexes, will be selected for military service based on motivation and skills. They will be called up each year after January 1 2018. "The new security situation is also a reality, partly in the form of Russian power politics which has long been underestimated and downplayed," Wilhelm Agrell, a security expert at Lund University, told AFP. Sweden is not a NATO member but has signed the body's Partnership for Peace programme launched in 1994 to develop military cooperation between NATO and non-member countries. On defence issues, Sweden is very close to its Finnish neighbour, which has with Russia a border of 1,340 kilometres (800 miles). The Nordic and Baltic region's only non-aligned countries, Finland and Sweden, have stepped up their military cooperation with US, following concerns over Russia's increased military activity in northern Europe. Finland accused Moscow last year of violating its airspace when two Russian fighter jets flew on separate occasions in the south of the coastal town of Porvoo. The incident raised alarm in Sweden. Russia has warned against Sweden and Finland joining NATO, an issue that has been debated in both countries.